Implementing an effective maintenance and testing program is crucial to protect your critical applications and keep equipment in top working order. There are many aspects of the program that must be developed, including: maintenance procedures and schedules, staff training, spare parts inventory, system performance testing, and system evaluation. Predictive Maintenance, Preventive Maintenance, and Reliability Centered Maintenance programs all play an important role in maximizing the reliability of electrical distribution & mechanical systems. 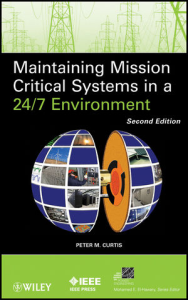 PMC’s testing, evaluation, and commissioning offerings incorporate industry best practices for assessing mission critical infrastructure effectiveness and efficiency. Collected data will be analyzed and compiled into a comprehensive report detailing system deficiencies and presenting recommendations for reliability, resiliency, and efficiency improvements.